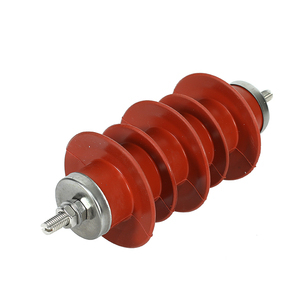 Our surge arresters incorporate non-linear resistor ZnO elements with superior non-linear current- voltage characteristics, high quality and reliability. 2. 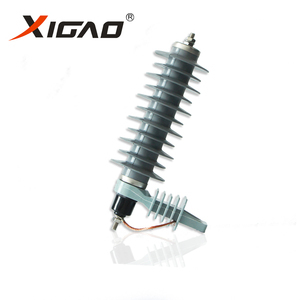 Polymer Housed with silicone rubber, explosion-proof ZnO varistor as the core component is large in flow capacity. 5. Polymer housed products with a six CTI level, creepage distance meets the requirements of IV level in heavy pollution areas. 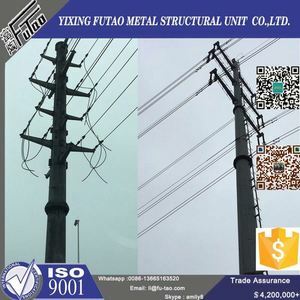 Shijiazhuang Fayun Electric Co., Ltd.
d) Power frequency voltage applied continuous between the teminals of the arrester not exceeding its continuous operating voltage. Guangda has always insisted on the tenet of developing enterprise by science & technology,imported advanced technical devices and employed lots of excellent talents. The company makes utmost use of the advantage of technology and equipment to integarte inner resource, so that its hardware facilities can be used maximization. * Item shipped in 5-15 working days after payment is received depends on the quantity of the order. * Item shipped by UPS,FedEX,DHL and others, depending on size and weight of total order. * Item only shipped to address listed on the invoice; Not responsible for shipping to wrong address. Shandong Taikai Disconnector Co., Ltd. 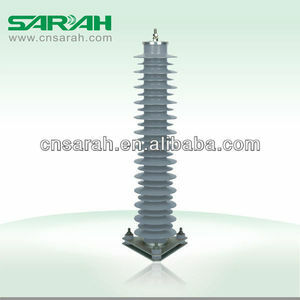 Lightning Arrester: Lightning Arrester is mainly used to protect distribution transformer, cable connector and electric equipment from being damaged by lightning impulse voltage and operated over-voltage. The varistor used in the arrester is subjected to a series of physical and electrical tests to ensure the protective ability, and the high-level housing verifies the insulating properties. 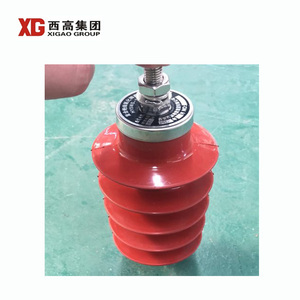 The arrester has been designed and type tested according to IEC standard. 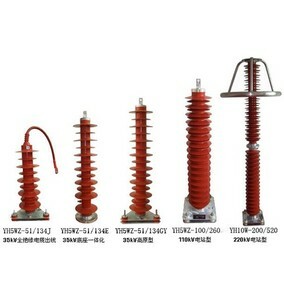 Alibaba.com offers 196 132kv surge arrester products. About 38% of these are power distribution equipment, 12% are other electrical equipment, and 2% are fuse components. 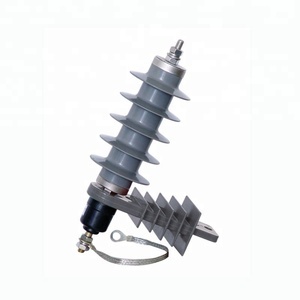 A wide variety of 132kv surge arrester options are available to you, such as free samples. 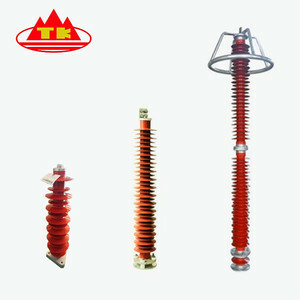 There are 115 132kv surge arrester suppliers, mainly located in Asia. 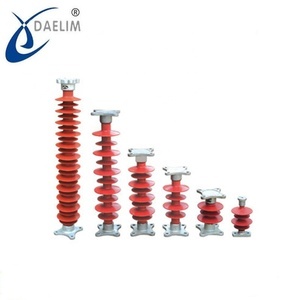 The top supplying countries are China (Mainland), Russian Federation, and India, which supply 93%, 2%, and 2% of 132kv surge arrester respectively. 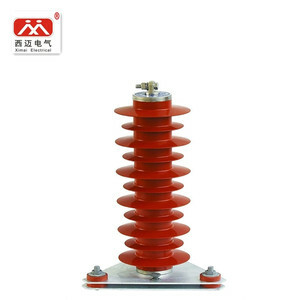 32kv surge arrester products are most popular in Domestic Market, Africa, and Western Europe. You can ensure product safety by selecting from certified suppliers, including 114 with ISO9001, 48 with ISO14001, and 47 with OHSAS18001 certification.